For a time it looked like 20th Century Fox was on the ropes with their superhero flicks. Fantastic Four was a disaster, along with the underwhelming X-Men: Apocalypse. But they've instead doubled down, lifted by the continuing love for Deadpool and this year's Logan. A number of new X-Men titles are in the works, such as New Mutants, X-Men: Dark Phoenix, and Deadpool 2, and now they're going to be joined by half a dozen more. Fox has set dates for six untitled Marvel movies, stretching from 2019 to 2021. What are they? Well, we can make some guesses. There's an X-Force movie that has been talked about for a while, as well as a Gambit film that can't seem to hold on to a director. And we shouldn't just assume all of these will be X-Men related. We've heard rumors of a new kid-friendly Fantastic Four, and it could fill one of those spots. That makes seven total movies on Fox's schedule that we have no idea about. Hmmmm...so mysterious, just like Wolverine's past used to be. 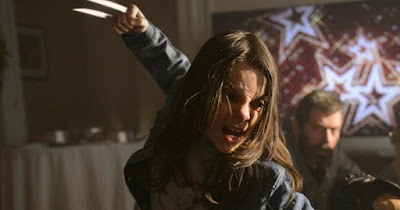 Is it possible one of these could be an X-23 film? What do you think? Which of Marvel's mutants do you want getting a movie? Or do you want a different take on the Fantastic Four? Let us know!